What is great about America? It is the American Dream, of course. It is the idea that we are in control of our own destiny, free from harsh government sanctions as in some other lands. It is the rights and the freedoms that so many other countries do not have. Sometimes we take our basic values for granted, including home ownership, which is a luxury not afforded to residents in some other countries.Millions of people from all over the world flock to the United States because of the American Dream, and the basic tenet of that aspiration is home ownership. 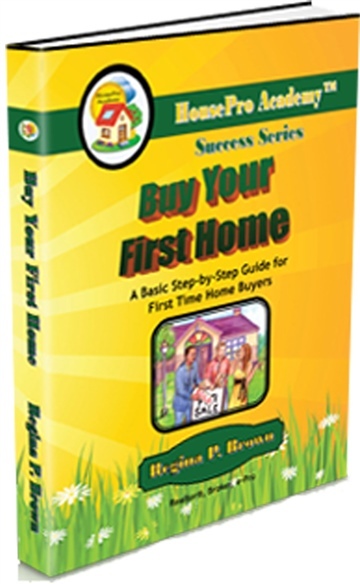 I strongly believe that every family should own their own home, and they can accomplish this dream if they have a guide to follow.You may have some doubts about whether you can buy a home, or you may be uncertain about how the process works. You may be thinking, "The process is overwhelming. I don't even know where to begin. It's too complicated. Who's going to help me?" I agree that home buying takes some time, energy, and effort. But the freedom of home ownership is so rewarding, your family will be thrilled and I promise it will be worth your effort. You can do it! All you need is a guide that you can follow, and a quality real estate professional to assist you.That's why our book is outlined as a guide that you can easily understand. Just start with Step 1 and follow the 9 steps in this book. We will guide you each step of the way. We'll also show you how to hire a dedicated REALTOR® you can trust, so you will receive professional guidance and direction.Let's get you the best home that your budget can afford. I know that you will follow these steps. So I dedicate this book to you! You have the courage to take action and make your dream of homeownership come true. This book is a must read for everyone who is thinking of buying their first home, first investment property or just starting to think about it. The author has taken a very complex process and simplified it so that it is easy to grasp and understand. The book is very well thought out and is clearly written in simple easy to understand terms.I especially love the forms section! The Mortgage Loan Comparison form will allow buyers to do a side-by-side comparison of the loans/lenders to easily figure out which one is best for their situation. The Agent Interview Form will enable the buyer to find a Real Estate Agent that meets their needs and criteria. And the home comparison form will help narrow down the field of potential homes compared to their ideal or dream home.As a long term investor and real estate agent, I will definitely recommend this book to my client base. Definitely worth the read! It will save you lots of headaches and stress.